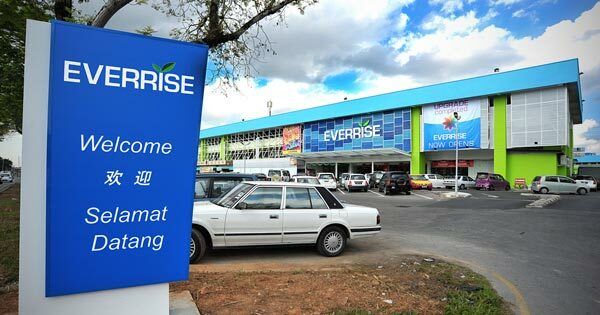 Everrise is one of the largest and fastest growing supermarket chains in Sarawak. Established in 1993 and with a staff force of over 1000, Everrise has a total of 20 stores of varying concepts covering different market segments. Everrise has established itself as a leading local supermarket chain offering value for money products. This is achieved by constantly understanding the local market’s changing needs and adapting to changes by optimising its product offerings. Everrise has store presence in both urban and suburban areas. Lately, Everrise has embarked on a re-branding exercise to bring new excitement to the brand. Refurbishment was carried out in its older stores and new store concept was created to target different market segments. The new concept introduces a more comfortable shopping environment with unique look and feel. Each retail touch points were reanalysed to take the chores out of grocery shopping and new rewards are introduced to add fun to each shopping trip. Following the success in the re-branding exercise, the latest new store was opened in a premium mall in Kuching which houses a cluster of international brands. The response has been encouraging. In the coming years, Everrise will be expanding its store presence in more locations in East Malaysia to serve a wider community. Address: Wisma Everrise, Lot 376, Jalan Petanak, 93100 Kuching, Sarawak.